Home Headlines & Breaking News Will Danny Danon Resign as Israel’s Ambassador to the UN? Will Danny Danon Resign as Israel’s Ambassador to the UN? 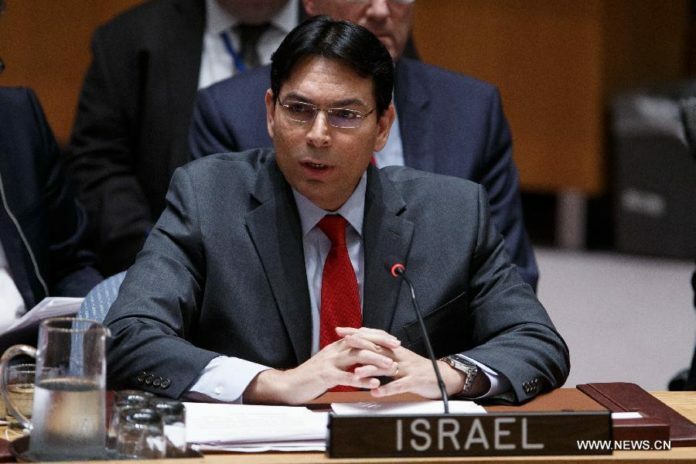 Rumors are circulating that Danny Danon, who has served as Israel’s ambassador to the United Nations since 2015, has announced that he will be resigning his position in order to return to Israel and compete for a spot on Likud’s party list in the upcoming elections. Danon, served at the beginning of this government’s term as a Minister in the government holding the Science portfolio, and as an MK for the Likud party. In 2015 he left his position and headed to New York to represent Israel in the United Nations. Danon is supposed to end his term in February 2019. However, with early disbursement of the Knesset being called, rumors that Danon will step down early in order to pursue his career in the Knesset. As of now, no formal actions have been taken. Danon said that he would make a public announcement after the Knesset voted on Wednesday to disband the government. That vote passed. Now it is up to Danon to make his announcement.